An Electronic Travel Authority (ETA) provides authorisation for non-Australian citizens to travel to and enter into Australia and is electronically linked to the passport. It is for short term stays in Australia either solely for tourism or for business activities only. What are the differences between ETA and eVisitor visa for Australia? Australian ETA or eVisitor visa both are considered as tourist visa. However, ETA visa is eligible to the citizens of certain countries, such as Japan, United State, South Korea, Hong Kong, Malaysia, Singapore, and Brunei–Darussalam etc and who hold a valid passport of any of those countries. On the other hand, eVisitor visa is eligible to the citizens of any countries from European Union and who hold a valid passport of any of those countries. The conditions of both visas are the same. How do I apply for Australian ETA/eVisitor Visa Online? Applying for ETA or eVisitor visa Australia is relatively easy and simple through this website. You need a valid passport and a valid email account. Affordable fees options are available based on your circumstances. You may make your payment via Pay Pal, Stripe or using credit card and debit card with complete peace of mind. At the time of an ETA application it is mandatory to provide the details that are exactly the same as those appearing in the passport. You must not have any criminal convictions for which you have been sentenced for a total collective period of months or more, whether or not it has been served yet. If you do not hold a passport from any of the eligible countries, you cannot apply for an ETA or eVisitor visa online. However, you might be eligible to apply for other types of visitor visas or directly through the Australian Visa office. The ETA or eVisitor visa will allow you to stay in Australia for a maximum period of three months on each visit. However, you may enter and leave Australia as many times as you want until your visa has expired. Can I work in Australia while on ETA or eVisitor visa? Legally, ETA / eVisitor visa holders are not allowed to do any paid work of any kind in Australia during their travel period. However, they can undertake business visitor activities such as business enquiries, attending conferences etc. Therefore, should one perform paid work in Australia while on an ETA, they will risk themselves being detained and removed from Australia. Further to this, it is likely to be liable for all costs related to the detention and removal from Australia. You will need to apply for a visa which allows for a longer stay period. If you are not able to apply for an ETA/eVisitor visa online using this website, you may be eligible to apply for different types of visitor visas directly through the Australian consulate. No age restriction applies for ETA. Eligible passport holders of all ages can apply for an ETA. No. All family members require separate ETA authorisations. Even if your children travel on your passport, they will need an individual ETA application. However, you can make multiple applications through this website under one reference number. Visas are typically processed and approved within a few minutes to maximum of 24 hours depending on your passport information and the accuracy of other details provided at the time of application. There are few options available for visa processing to choose from depending on your urgency. At the time of an ETA application it is mandatory to provide the details that are exactly the same as those appearing in the passport. Therefore, you should enter your personal information carefully to avoid any mistakes. However, you will have an opportunity to review all the information provided before submitting the application and can change the details at any time until you confirm all details are correct. We offer this amendment to our customer at no cost. Note: If your ETA / eVisitor visa details do not match with your passport information, you might experience delays while boarding aircraft or your entry into Australia might be refused by the relevant authority. If your application is not approved, you should finalise your application through the nearest Australian visa office. My application for an ETA was unsuccessful; can I get my application fee back? We will only provide a full refund of your payment if your application has not been processed within the requested time frame. We do not take any responsibility as to why your application was unsuccessful and as such, no refund will be applied. What if I already hold a current visa for travelling to Australia? If you already hold a current visa for travelling to Australia, you will be advised accordingly at the time of your application. If you wish to proceed, any ETA authorisation period will not commence until your current visa has expired. If you have any criminal convictions and have been sentenced to a term of imprisonment of 12 months or more, you should not be applying for an ETA. You might be eligible to apply for other types of visitor visa. If you are found to be in breach of any condition, your visa can be cancelled in immigration clearance and you will not be able to enter into Australia. What conditions apply to my ETA / eVisitor visa? Condition 8115 – Paid work is not permissible. You may undertake business visitor activities such as, making business enquirers, contractual negotiations and attending conferences etc. Important: You must depart Australia before your authorised stay period expires. If you do not, you can be detained and/or removed from Australia. Overstaying might also affect your ability to be granted another Australian visa in the future, including an ETA. If there is a situation that you require to stay in Australia for more than three months while you are on an ETA, you must obtain another visa before your three months stay period expires. 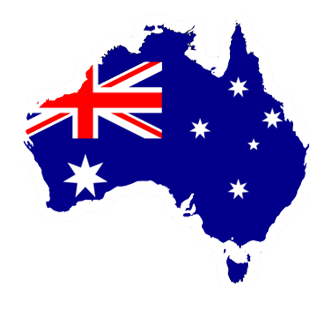 I am an Australian citizen with the citizenship of at least one other country as well. Do I need an ETA to visit Australia? Australian citizens have an automatic right of entry to Australia and do not need a visa or an ETA to enter into Australia. Why am I not receiving the email confirmation from you? Please be advised, the reference number you receive from us is not to be used at the Department of Immigration and Border Protection Authority website. However, using this reference number you will be able to check the status of your ETA / eVisitor visa through our website www.etasupport.com.au including the visa category and the expiry date.